Can't add them to your cart yet, but they will be available soon I'm sure. 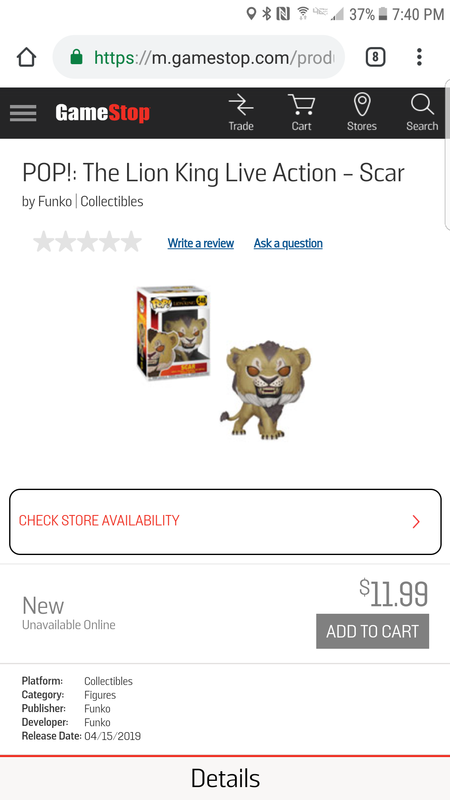 In the meantime, you can use their in-store pickup search for it to see if any stores around you have it in stock though. I would call the store to verify before making the trip however. Last edited by Blu-Ray_watcher18; 04-15-2019 at 11:50 PM. When I looked earlier on Gamestop, I didn't add Live Action. I thought one of them was wearing sunglasses. Those of us who ordered the Walgreens Hawkeye exclusive, has it shipped yet? On my order page it still says "in progress." I just figured that since I ordered it on Friday, it would've been shipped by now. I'd be a bit patient with WG as far as shipping those out. Between just getting those and the Darth Maul instock, will be quite a few orders needing shipping which was why they probably put that message about delayed shipping on the checkout page, hoping people would not get too antsy. I ordered the Darth Maul Friday and am being optimistic thinking it might get shipped by the end of the week. 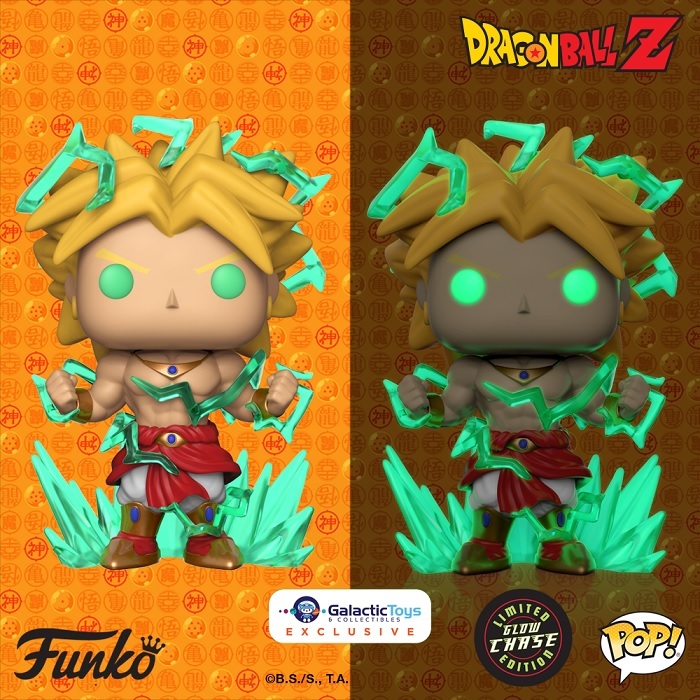 DBZ 6" Broly (Galactic Toys Exclusive) is up for pre. 1:6 chance for GiTD CHASE. July ETA. $35 w/ shipping. Last edited by moodswing; 04-16-2019 at 10:58 PM. Ordered 2 earlier when got the email. Was happy about it being a 6 inch POP this time which makes more sense, though really disappointed about there being a GITD chase version. Wished the regular would have been GITD, because now will have to try to get the chase version, which I guaranatee will be pricey on the secondary market, assuming I don't luck out and get one in my order. Just checked today and I was able to order one. Both the Goose (Flerken) pops I ordered from Entertainment Earth arrived while I was out of town this weekend and I didn't get the chase ( ) so I'll be giving one of them to a friend. Now I want the chase even more but $$. But I also got my Endgame Captain Marvel and the paint job looks pretty good for an internet purchase from Hot Topic! If only I had room to display them all. 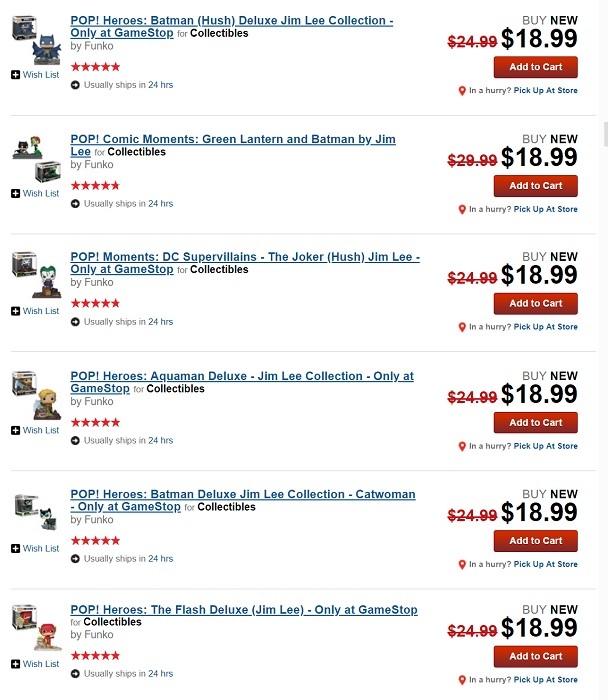 fyi, some of GameStop's exclusive Jim Lee (deluxe) Pops are marked down. on top of that, they're eligible for their current B3G1 free mix&match promo. free ship over $50. comes out to around $15 each when you buy 4. decent. 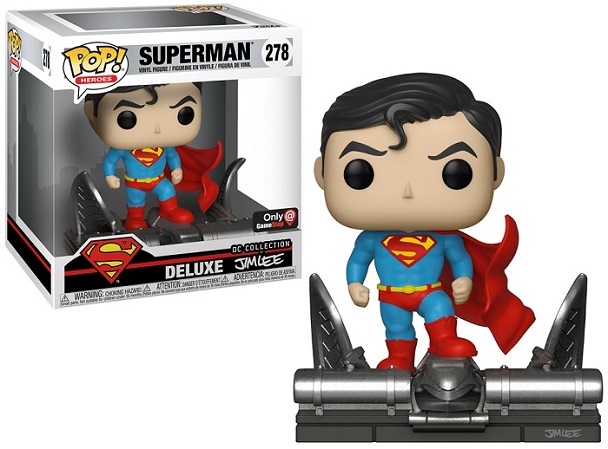 edit: also worked with Superman pre-order. no separate ship charge. Last edited by moodswing; 04-16-2019 at 11:10 PM. Gamestop funko pops deal expires 2 days before the Toy Story 4 is released. For those interested in the AT&T exclusive Night King, I would check your local store now. I checked today, and was lucky with my timing (last 2 they had). My Maul, came out the same day, shipped right away. It was supposed to be here today, but looks like it went from Illinois to Nashville for some dumb reason. My order for the Hawkeye exclusive still says in progress. Mine is coming via fedex on the 18th. Shocked the hell out of me. The Gamestop exclusive of Toy Story 4 Forky isn't shown on their website, it was 2 days ago.